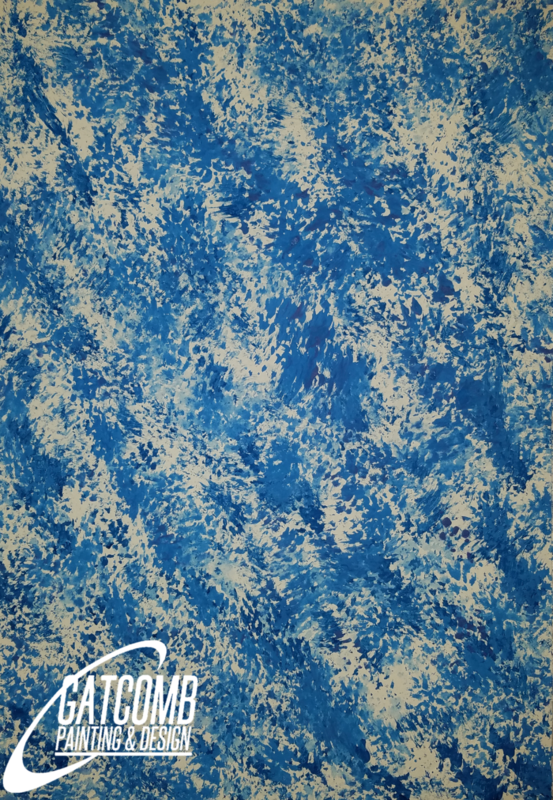 These finishes are achieved using natural sea sponges to layer color over a base coat of paint. Whether it's one or two colors applied over the base coat or a dozen or more, the possibilities are limited only by the imagination. 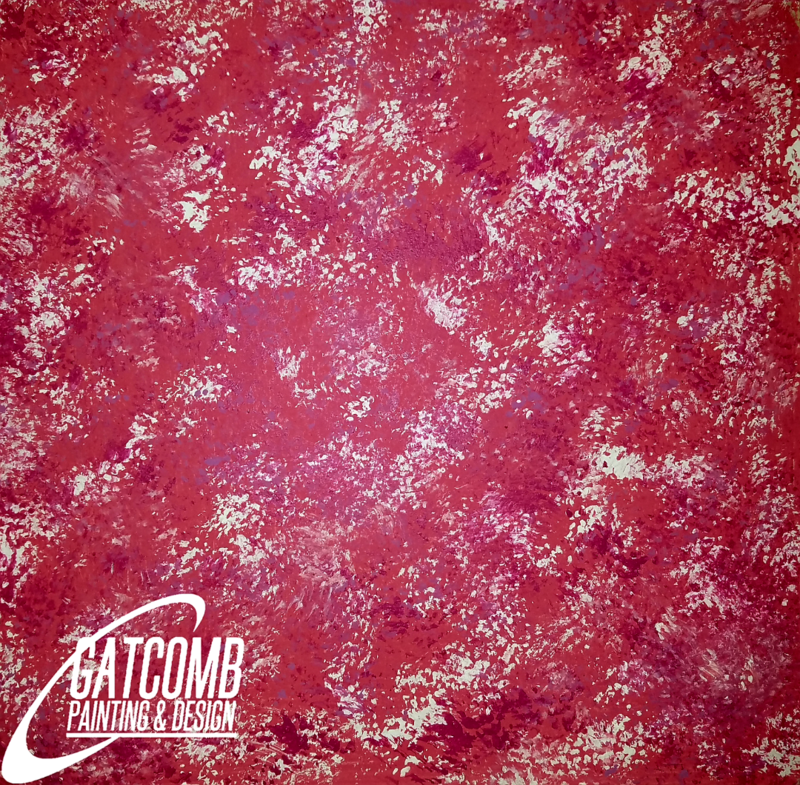 The white base peeks out behind a gradated series of reds in this sponged finish.